The guy that got off this thing had to be 70 years old props to him. I spent the weekend at lake george for the 35th Americade rally. 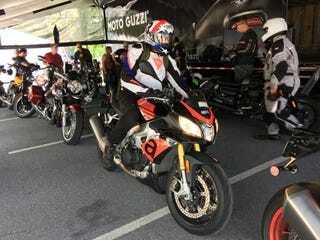 The Aprilia Tuono is my favorite bike that i demo this thing makes you a better rider wow! It corners like its on rails. I learned that i really do not understand people that buy Harleys these things are under powered rattle like crazy i will take an Indian thank you.